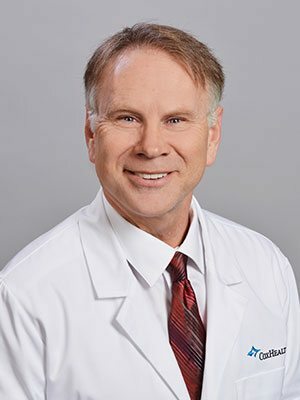 Dr. Ted A. Lennard is a board certified physical medicine and rehabilitation (PMR) specialist affiliated with CoxHealth in Springfield, Missouri. A graduate of Louisiana Tech University with a Bachelor of Science in Zoology, Dr. Ted Lennard went on to earn his medical degree from LSU School of Medicine in 1987. Shortly after completing a four year Transitional Internship and Residency in Physical Medicine and Rehabilitation at the University of Arkansas for Medical Sciences in 1991, Dr. Lennard began private practice in Springfield, MO. In 1992, Dr. Lennard obtained his Board Certification in Physical Medicine and Rehabilitation and has since been recognized as a Fellow in PMR in good standing. In 2001, he joined the multi-specialty group, Springfield Neurological & Spine Institute. At SNSI, Dr. Lennard specializes in the nonsurgical treatment of spine, musculoskeletal, and peripheral nerve care, offering a wide variety of treatment options including medical acupuncture, spinal injections, ultrasound guided peripheral nerve and joint injections, electrodiagnostic studies, and plasma rich platelet injections.